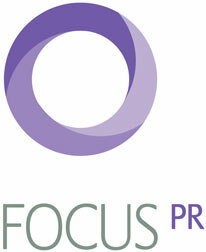 Focus PR's consumer fee income surged by 24 per cent in 2008, helping it snare 23rd place in the consumer top 50. Under the guidance of founder and MD Hilary Meacham, the agency bought two agencies during the year and also moved to bigger offices to accommodate the resulting growth. Two thirds of Focus' fee income now relates to clients which have retained the agency for three years or more. Looking ahead, the agency's ability to maintain this level of excellence will prove pivotal in a tough economic environment. our team grew significantly at all levels in 2008, partly as a result of our acquisitions and also through active recruitment. Nurturing our culture continues to be paramount so we've maintained our ongoing programme of awaydays with the whole team, keeping them informed about the business and harnessing their ideas. To further boost the involvement of our account directors in the running of the business we've held a series of strategy days and now have regular meetings with the senior team to exchange new ideas..
Plans and predictions for consumer PR in 2009: after an ambitious year at Focus PR and a challenging economic climate in the wider world in 2008 we'll be focusing on growing our client base across our five sectors in 2009, from both organic growth and new wins. Clients will continue to expect demonstrable ROI, strong creativity and a true partnership approach from their agencies - all key characteristics of our modus operandi - so we'll be "sticking to our knitting"!